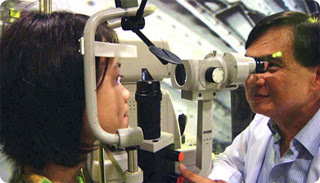 Glaucoma is the second leading cause of vision loss and irreversible blindness in the Philippines. A major reason for this is that glaucoma hardly presents any symptoms, which either makes people fail to recognize the problem early on or which causes some doctors to underdiagnose the condition. Most patients become aware of their glaucoma at its latter stages when they are already suffering from vision loss. For symptomatic glaucoma, patients may experience recurring deep eye pain, headaches, and blurring of vision due to sudden increases in eye pressure. As the disease progresses, the patient’s field of vision is reduced, the effect of which is tunnel vision. This could later progress to permanent blindness. Dr. Tumbocon underscores the importance of seeing an eye specialist for a thorough eye evaluation especially for people who are at greater risk of developing the problem. Although anyone can have glaucoma, some individuals have a higher likelihood for developing glaucoma. These include those who are 50 years old and above and those who have abnormally high intraocular pressure, family history of glaucoma, long-term steroid use, high refractive correction for near or far sightedness, or had previous eye injuries. The earlier glaucoma is diagnosed, the better the chances of arresting the progression of the disease. 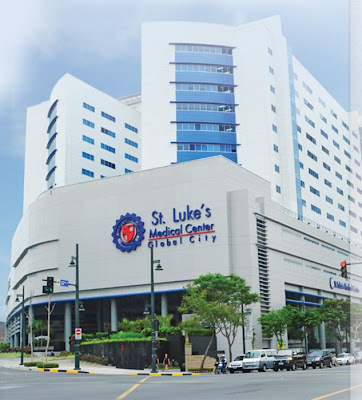 St. Luke’s Medical Center’s International Eye Institute is known for its cutting edge technology and equipment and its team of internationally trained glaucoma subspecialists who can diagnose glaucoma at its earliest stages and provide treatment for the simplest to the most complex forms of the disease. Treatments range from medication, to laser treatment and surgical treatment depending on the type and severity of the glaucoma. The objective of the treatment is to halt or slow down the progress of the disease. “Timely detection and treatment of glaucoma are essential in preventing blindness,” according to Dr. Tumbocon. “Most people are not aware of the severe risk of blindness from this illness so information dissemination is vital to help people with undiagnosed glaucoma seek early treatment,” he adds. For more information, please contact the International Eye Institute at St. Luke’s Medical Center in Global City at (632) 7897700 ext. 2024 and in Quezon City at (632) 7230101 ext. 4143/5422. I think i should go see a doctor, if iam sufferin glaucoma. cause im experiencing the same symptoms. As of now my eyes got a grade of -6.00. I think i need to go to doctor to seek advice what's the best treatment to my eyes. Thanks for the info..